Get together with family and friends to celebrate the joyous occasion of Eid Al Adha with a sumptuous brunch in the spectacular surroundings of Loumi restaurant at the Millennium Airport Hotel Dubai. The lavish buffet will feature a wide selection of the finest Arabic and International delicacies including fresh salads, sushi counter, indulgent seafood and live cooking stations, carvery and an assortment of delectable desserts. 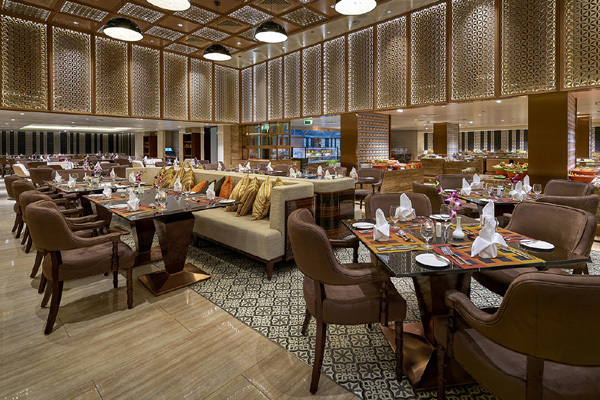 Lovers of Italian cuisine can enjoy chef’s special menu at Da Vinci’s offering a superb mix of traditional Eid specialities as well as classic Italian flavours. Loumi Eid brunch package starts from Dh199/$54 (+VAT) with unlimited soft drinks per adult, groups of 10 people and above can have one person dine free of charge while children below five years old dine for free. The Eid Al Adha brunch will be available on August 23 and 24 from 12 noon to 4pm.